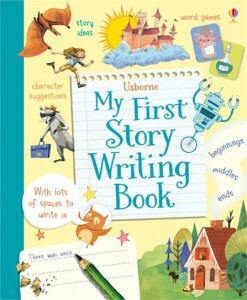 So following on from my last post about great books to read with your child (http://talknua.com/40-fabulous-reads-for-you-your-children/), this post has 18 powerful ways for making the most of books with your children- nothing fancy required! 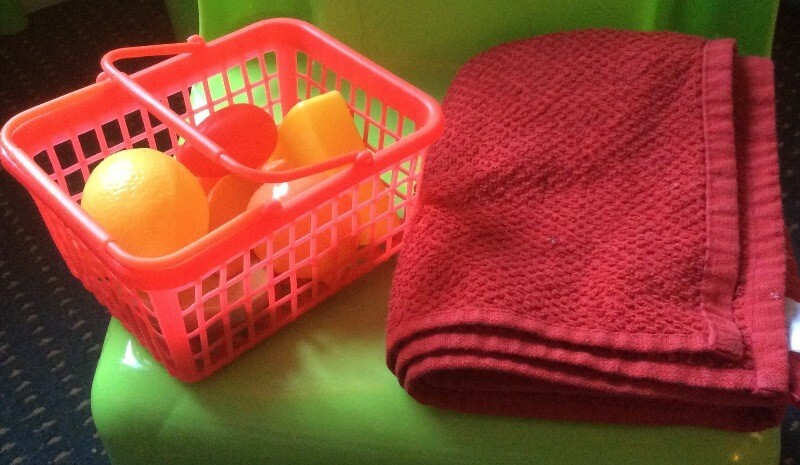 These tips are for infants and toddlers all the way through to school-going children. Make sure you can see each other’s faces when you’re reading the book together as this makes things more interactive. So this means, sitting side by side or one knee so that they can look up at you. Let the child read the book their own way. So you can bring the book out and just wait to see what they say or do and then follow what they’re showing interest in. This means letting them turn the pages too. It can be hard to wait but it’s totally worth it as the more actively involved they are, the more they’ll be inclined to want to engage with books again. Another option here if they’re not showing interest is for you to pick up the book and start reading it yourself and looking at the pictures. Often that can be enough to make them curious! You don’t have to read it all– we’re reading a longish book at the moment and one chapter is all my little girl can pay attention for. There are 6 chapters and we have read the first 4 chapters at least twice. Now, honestly, the part of me that wants to get to the end of the story and find out what happens finds this very challenging but I can always read it by myself to find out right? You can make it more interesting by using different voices for different characters or making animal sounds You might feel a bit self-conscious at first but again, your child will love it! I remember my mother pretending to be a difficult customer in a shop and my sister and myself thought it was hilarious and we couldn’t get enough of it! You can point to the pictures as you talk about them. 9. It’s good to read the same book over and over– children love it although I know it can be a bit tiresome at times! You can shake it up a bit by drawing their attention to features like exclamation marks and explain why they are there. Or when the font is bigger than the rest of the text. Or quotation marks and so on. 10. You could make your own book– now I’ve only done this once where I drew very simple (I’m no artist!) stick figures for yet another version of the Big Bad Wolf! But you could use the pictures in junk mail to make a book of your child’s favourite things. You could even sort them by category if you wanted to sneak in some work on vocabulary so fruits, vegetables, animals, clothes and so on. Also great for motor skills depending, all that cutting and pasting. 12. Preview the story. For school-going children you could read the back of the book first for a description of what it’s about and have a chat about what you think might happen. Making predictions about the story line is very good for children story telling ability and storytelling ability is strongly linked to literacy and academic success. 13. Discussing ideas related to the story as they spontaneously arise during story book reading is another great way to build language. 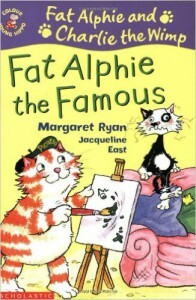 We were reading Fat Alphie The Famous. 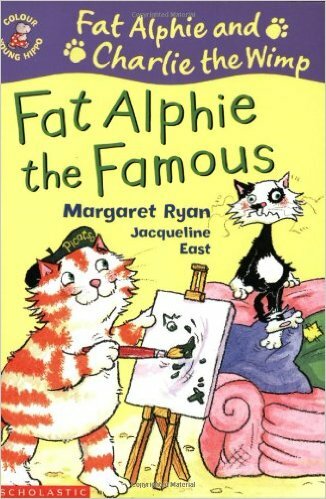 Fat Alphie is trying to be a famous artist and his ‘friends’ are being quite critical of his attempts. My little girl asked me ‘What are they doing?’ and I said how they were criticizing Fat Alphie’s drawings. She said: ‘But it’s art- it’s not right or wrong. It can be any way you want‘!! 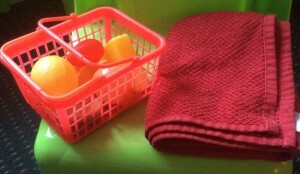 I was delighted!! You could also talk about how characters might feel after something happens or what you would do if you were Little Red Riding Hood and so on. Who knew a tea towel could be a cape?!! 15. Read for pleasure yourself. If they see you love reading, then it’s a natural part of their day which increases the chances of them being interested too. 16. Read everywhere: in the car, street signs, shop names, names of houses, motor way signs, toll bridge signs……..
18. Visit your local library– the library staff are so helpful and will give you great ideas for books for children at different ages and they have a great range of books and membership for children is usually free. You can let your child pick their own books from a very young age to get them actively involved. The main way to make the most of books is to let them engage with them their way! This might mean some deep breaths for you and staying quiet but it’s totally worth it!